Watching Rod Rosenstein’s testimony in his Congressional hearing, I came to a simple conclusion: he cannot bluff. 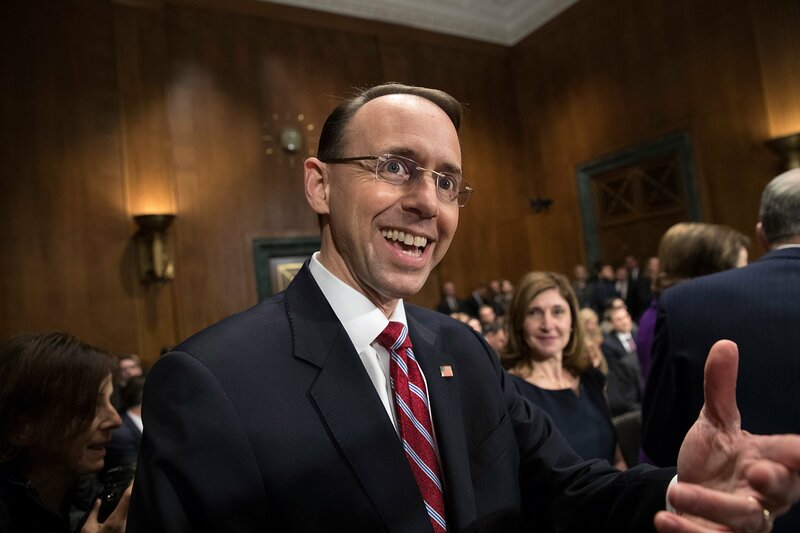 Mr. Rosenstein believes that the Deep State will win and he will be rewarded for his part of the insurrection. He cannot contain his glee, his arrogance or his contempt of Congressmen. My question to the people is also simple: what if he is correct? What will you do if the government is overthrown? Its not that he can’t b;uff, the emperor does not need to bluff his slaves. You are beneath his contempt. You are mere mortals unworthy of his concern. Its time to send him on a long, long federal vacation where he can connect with his inner self and learn the meaning of communal sharing. Buba will be glad to mentor him on those long cold, winter nights. And he can start a knitting club with his FBI, IRS, ATF, DOJ and Obama posse friends, not to mention all those CIA Kremblin types. Obama can help them do lots and lots of community organizing at Leavenworth.